Russian rabbi and mathematician. He wrote "Keneh Ḥokmah," the meaning of which in Prov iv. 5 is "buy wisdom," but which here means "the scientific measure." It is a manual of algebra in five parts (Wilna, 1829). 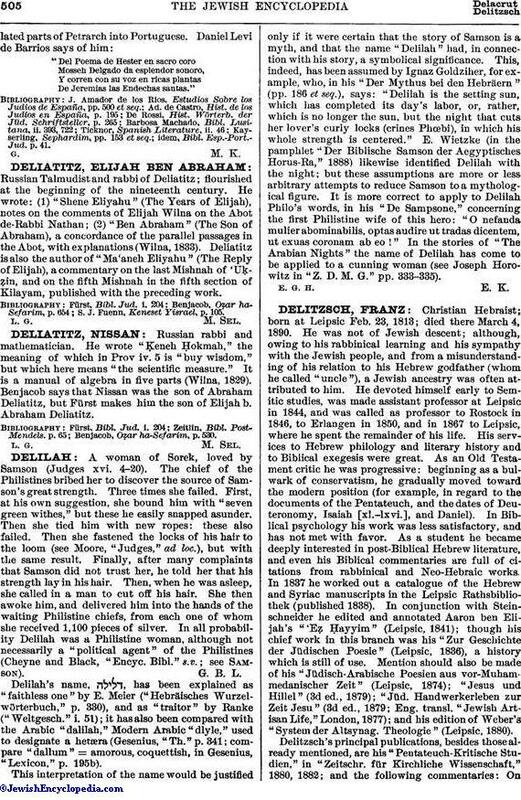 Benjacob says that Nissan was the son of Abraham Deliatitz, but Fürst makes him the son of Elijah b. Abraham Deliatitz. Benjacob, Oẓar ha-Sefarim, p. 530.